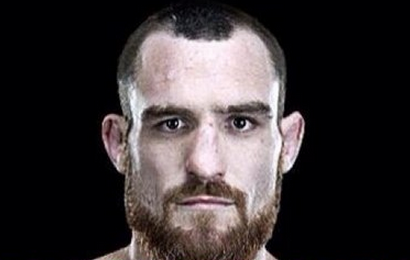 Would Pat Healy Still Have His Money if UFC 159 Occurred in British Columbia? OK, with BC’s new legislative framework in place regulating professional MMA and with Marc Ratner’s confirmation that BC is back on the UFC’s map its time to have some fun with hypotheticals. What if Pat Healy’s failed marijuana drug test following UFC 159 occurred under BC’s new regime? For those of you that don’t know the story, following his last fight in New Jersey Pat Healy tested positive for marijuana metabolites. To his credit he immediately fell on his sword and owned up to his mistake. The apology could not, however, stop the official result of the fight changing from a win to a no-contest. This in turn stripped him of bonus money which made up the lion’s share of his purse. So what if this happened in BC? Would the result be different? We need to make a few assumptions here but there is a strong likelihood that his victory would have remained intact and his pocketbook would be left untouched. Once in force, the BC Scheme will be far more lenient than New Jersey’s or other jurisdictions when it comes to marijuana metabolites. The World Anti-Doping Agency largely sets the standard when it comes to testing for banned substances. Many jurisdictions look to WADA for guidance when drafting their regulations relating to banned substances and acceptable levels when testing. When WADA changes their rules, athletic commissions generally need to change theirs if they want to keep pace. This means that when WADA changes their rules BC law is automatically updated to follow suit. This is where the Pat Healy saga comes into play. WADA has just announced that they are relaxing their rules when it comes to marijuana. As of May 11, 2013 athletes are allowed to have 10 times more marijuana metabolites in their system before failing a drug test as compared to the former WADA standards increasing the standard from 15 ng/mL to 150 ng/mL. This means that Pat Healy will have 10 times the slack under BC’s system over jurisdictions which implemented the former WADA standards. Many US States such as Nevada have a standard of 50 ng/mL (although they are being lobbied to get in line with WADA’s new standard) meaning that BC’s standard is three times more generous than this standard. Pat Healy’s exact readings have not been publicly reported but I have reached out to him to see if he is willing to share these. Assuming he was not over 150 then he would not have run afoul of BC regulations, would have kept his win and his bonus money would still be intact. Can the UFC Outright Ban TRT?